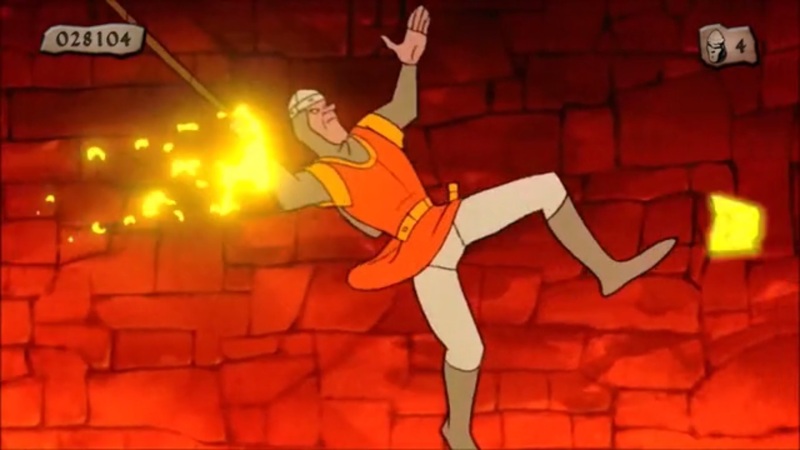 You’d think with ’80s nostalgia being all the rage that Dragon’s Lair would be snapped up by now, but it seems not. Creators Don Bluth and Gary Goldman own the rights, and want to do it for $70 million. They’re convinced they can sell that pitch if you’ll give them $550,000 to make it properly. …and that, post-’80s kids, is why it’s hilarious to read in the Kickstarter that they describe hero Dirk the Daring as “a character that just won’t die.” He dies EVERY SECOND. Dying is his default mode. You have to have Jedi-like reflexes AND be clairvoyant for him NOT to die. I’m betting in the movie, he lives. But it’ll probably be faithful to source in every other way.